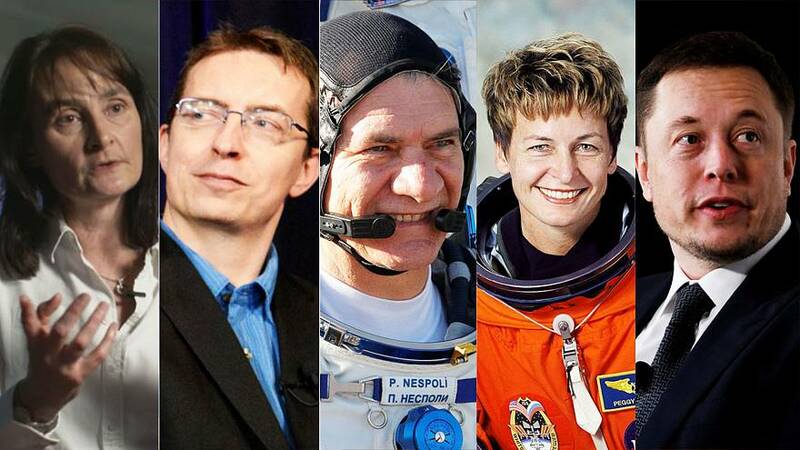 Reader poll: Who should be Euronews' Space Personality of the Year? Euronews asked readers in December for their vote on who should be the 2017 Personalities of the Year—in fields including space, innovation, culture, business, EU and sport. Find out more about Elon Musk, who won Space Personality of the Year, and the other nominees below. Sparky and hyperactive Michele Dougherty was one of the leading figures in the international Cassini-Hyugens mission, which came to a dramatic end when it was deliberately crashed into Saturn's hazy atmosphere in September 2017. Professor of Space Physics at London's Imperial College, her work has inspired hopes of finding traces of life on Saturn's moon Enceladus, and she is now leading an instrument on ESA's new JUICE mission to explore Jupiter's icy moons. Belgian astronomer Michaël Gillon led the international team that discovered seven exoplanets in the so-called habitable zone around their star, the first finding of its kind. The observations using Belgium's TRAPPIST telescope gave hope to many that we could soon find signs of life in other solar systems. Gillon's references to tasty beer and yummy biscuits (a telescope called SPECULOOS) in his science project names has no doubt helped his cause. The entrepreneurial Elon Musk has continued to grab headlines throughout the year with his plans to send humans to Mars, yet it's in his full-on attack on the satellite launch market that Musk has most made his mark in 2017. His re-usable rockets - that seem to magically know how to land back on Earth - are really starting to break down barriers in terms of cost and turnaround time in the highly competitive multi-billion euro business of communication satellites. Soon after his 60th birthday, the Italian astronaut blasted off to the International Space Station, and he's loving it, sharing his experiences widely on social media, including a video on how to make pizza without gravity. The ESA veteran first went into orbit on the Space Shuttle in 2007, and since July 2017 is enjoying his 3rd trip in orbit and the magical world of weightlessness. NASA's Peggy Whitson is one of the iconic astronauts of our age. When she landed back on Earth in September she was a a record breaker: with 665 days in orbit, she's the woman with the most spaceflight experience, and with 10 spacewalks under her belt, she's the leading female astronaut. A former ISS commander, 57-year-old Whitson is known for being a superb leader, always positive, and utterly professional. Reader poll: who should be Euronews' Business Personality of the Year?